It’s early Saturday morning and I’m reflecting on a crazy 7 days since I posted the first part of my chat with Ace Beat records’ Ace Mungin. Last weekend I dusted off the NY/NJ records I’ve been hoovering up from Discogs to play at What The Freak over here in Hebden Bridge – lots of fun there despite a bit of an early slot! I also had a wonderful Skype chat with Abigail Adams about Movin’ records and beyond which has brought up yet more intriguing connections between the New York and New Jersey music scenes. Can’t wait to write that up in the next few weeks. Then, on Thursday, I was having a quick look at twitter when the news started coming through that Nelson Mandela had died. I phoned my mum to tell her, but when she answered I didn’t know what to say. My mum was born in South Africa, but soon after the family decided to return to the UK for a more peaceful life in Belfast (the irony…). My Nanna eventually returned to Cape Town and passed away out there some years ago; my Uncle Michael is still there now. On Mrs D’s side, having fled Idi Amin’s Uganda in the 70s, her Aunt Joy now lives in Johannesburg with her two sons and her husband Wolfgang (the most wonderfully German man I’ve ever met!). We were lucky enough to visit them 5 years ago (almost to the day) and were given a tour of Soweto by a colleague of Aunt Joy’s from the University. We’d walked the streets around the Hector Pieterson memorial museum and Nelson Mandela’s house that were now showing again on the news. I sat on the phone watching pictures of people gathering in these places I knew while my mum chatted away about her week, trying to work out how to break the news. Finally, somewhat dishonestly, I broke my silence: “oh, mum – there’s an announcement on the TV, Nelson Mandela has died”. Then she didn’t know what to say either. We decided to hang up so we could watch the news and take it all in. In the days since, there has been the inevitable (sometimes ugly) rush by people to associate themselves with this man who put most of us to shame. There’s very little I can add to the reams that have been written already, but what a hero he was… Oh, and while we’re at it – Desmond Tutu, what a hero he still is! On that same trip, we spent Christmas in Cape Town with my uncle and had the privilege of attending the Archbishop’s Christmas service at the Cathedral. He waited around to shake the hand of every single person that left the cathedral that day – I couldn’t believe it. He’s still going strong now, leading a nation (continent? world?) in their mourning. Hope, faith, optimism – we’re supposed to have evolved to a stage where we don’t need to rely on all that childish nonsense aren’t we? Well, thank God for heroes like Nelson Mandela and Desmond Tutu – thats all I’m saying. 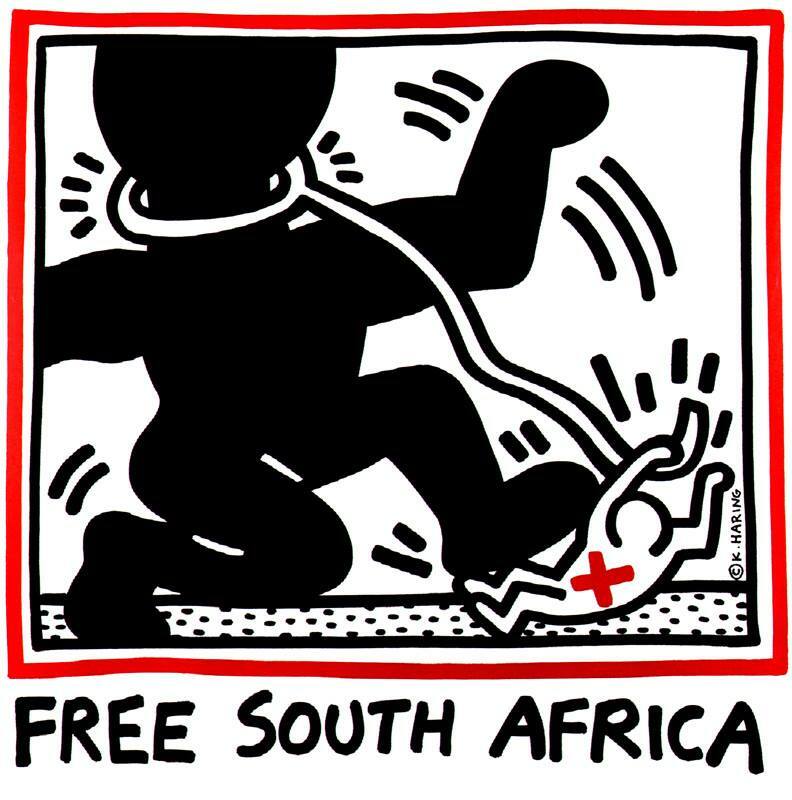 Anyway – I’m sure Ace won’t mind me having hijacked his interview, but I do need to get back on topic… Helpfully, Abigail shared this picture on Facebook yesterday – one of Keith Haring’s most famous pictures and a of the symbol of the campaign to free Mandela and end Apartheid. If you look in the videos of the Free Mandela concert at Wembley, you’ll see a version of this poster (showing a snapping rope) on either side of the stage. Keith and the Paradise Garage were inextricably linked – his murals were all over the walls and he was a Saturday night regular. 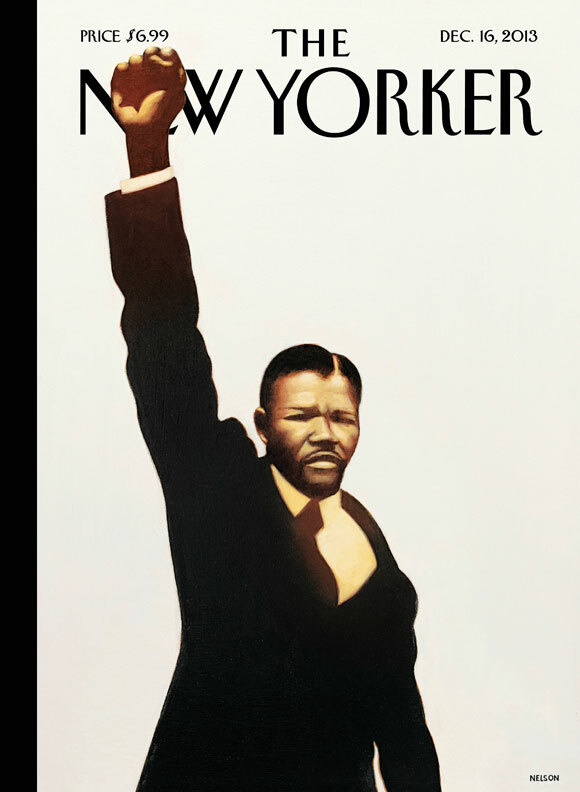 His Free South Africa posters were given away at the club – one night a friend of Abigail’s had a whole box full of them that was left at the top of the famous Paradise Garage ramp for people to take (this may not have been part of the original plan…). Ace: At the time, I was the first label doing house – they were friends with Kevin and it was basically just a lot of hanging out you know? Whenever I was doing something I would go in the studio and everybody came, everybody was hanging out. So it wasn’t strange for Backroom Productions that did Jomanda, or Smack productions which was Mike Cameron to just hang out – we’d be just like: “hey come on” you know? “I can use your ear on this” you know? Ben: Sure – and what kind of quantities would you press? Ace: At first about a thousand, maybe two thousand – I guess that’s why I didn’t put out much stuff, I couldn’t afford it really! I’d make a little money, but the money I was making just went back into production and buying equipment to have my own studio. Eventually after those productions – with Jomanda and Blaze, those first couple of productions – that allowed me to have my own studio. That’s when we started to put out more stuff. Ben: Right – and so it seems to me with the [Jersey] stories that – nighttime, the Zanzibar is a big catalyst for stuff that’s going on and in the daytime it’s the Movin’ records store? Ace: Zanzibar was like – we’d be in the studio (now I had my studio together), we’d do tracks and then after we’d done them we’d go down Zanzibar. At that time Tony Humphries was playing so we’d take it down to Zanzibar and he’d put it right on, we could see how it works! Ben: That was a great place to test your music! And that’s what they did. In 1989, Ace released my favourite record of the lot with Tyrone Payton and the group Intense: the Garage Movement EP. If you’re going to buy one Ace Beat record, make it this one – I’ve bought two just in case! Few labels have released 3 tracks as good as Let The Rain Come Down, The Strength and Dog A Baseline, let alone all on the same record. At the time of writing there are 44 copies of it on discogs, at a starting price 74p. How that makes any sense I do not know, but I’m not complaining – hope you like them as much as I do anyway. AceBeat Records is the beginning of it all. The first wave of local Newark talent that went onto become dance music celebrities came through AceBeat Records. Jersey owes a great deal to Ace Munchin for having the passion and love for dance music and nurturing homegrown artists through his studio and label. Many timeless Jersey dance classics are under the banner of AceBeat…it was uptempo R&B, but with Newark’s style and swag. Jazmina was the quinessetial princess of Jersey Soul direct from AceBeat. Kishon, Tyrone, Charvoni, Kelton Cooper, Spanky, Stephon Johnson (who brought dance music to the non-underground clubheads that spread out among the populace…his Jersey story has yet to be told), Ruby, Sonya Collins, Everess (I always loved “Don’t You Take Your Love”), Paul & Shank (Twin City Roller Rink in Newark, they used to play there, a very influential place for uptempo R&B), Kenny Bobien, Eddie Stockley, Earl Robinson (the male version of the Andantes and the Sweetharts of Sigma Sound), Ace had them all, and Tony Humphries & Larry Patterson played them all! DJ Basil and I was supposed to dance behind Paul Scott when he booked for his first appearance at Club Zanzibar when he did “Off The Wall”. We were practicing and everything but it didn’t happen. What great memories! Ooh – that last bit’s intriguing Christopher! Is that DJ Basil, as in Basil Hardhouse? I knew he’d been involved with Wild Pitch parties in New York but is he from Jersey too? Yes. DJ Basil a/k/a Basil Hardhouse. I met him at Club Zanzibar back in the early 80’s. He was an awesome dancer and he used to work at the Paradise Garage too toward the end. He is from Jersey City, NJ.